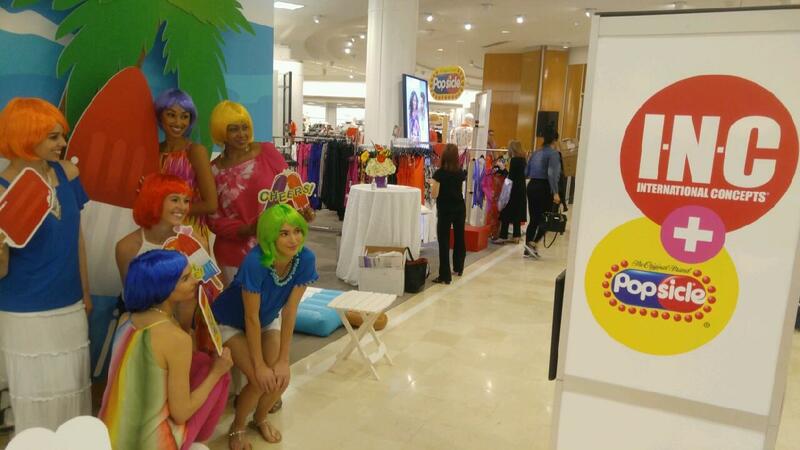 Shutterbooth had a great time celebrating summer at Macy’s last weekend! 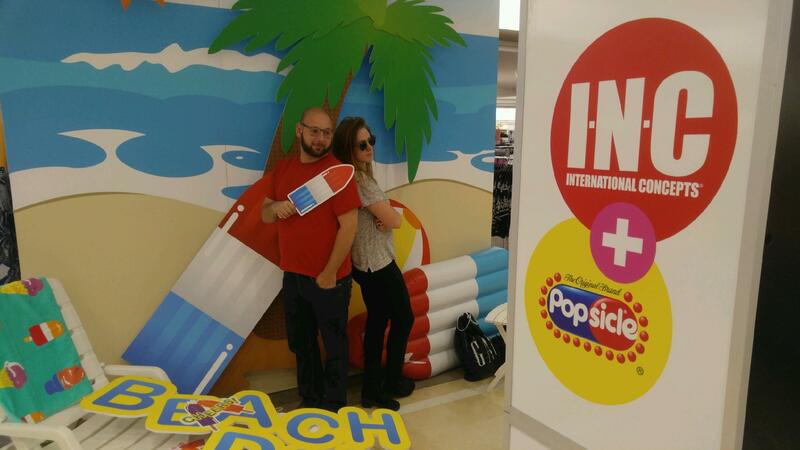 INC and Popsicle teamed up to throw a beachy party at Macy’s Somerset, complete with a full photo booth setup. Our OPEN style photobooth was branded with the INC + Popsicle logos. 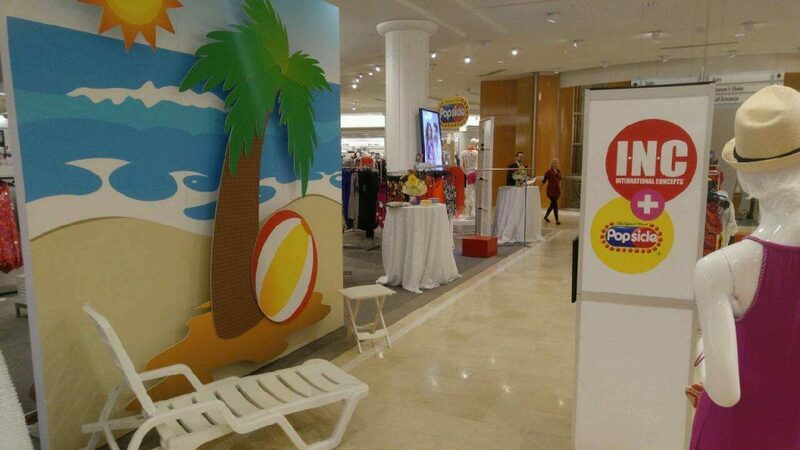 A custom beach background was setup complete with lounge chairs for shoppers to take photos. Oversized props including giant popsicles tied the brand into the experience and photos. After posing for photos shoppers received a 4×6 branded printout and were able to share their photos instantly to social media on all social platforms. In-store retail activations make shopping fun again and help drive your brand on social media. Instagram is the social platform of choice in the fashion and retail segments – guests were able to share their photos instantly to Instagram using the event hashtags. And it doesn’t require a lot of effort to start one yourself, best part being that you do not have to own a brick-and-mortar to make sales. That is the gift of the internet, and you can kick-start your career in this by looking for some trustworthy shopify dropshipping stores and how to flourish like them. Branded printouts still make a wonderful keepsake and a lasting impression for the guests.